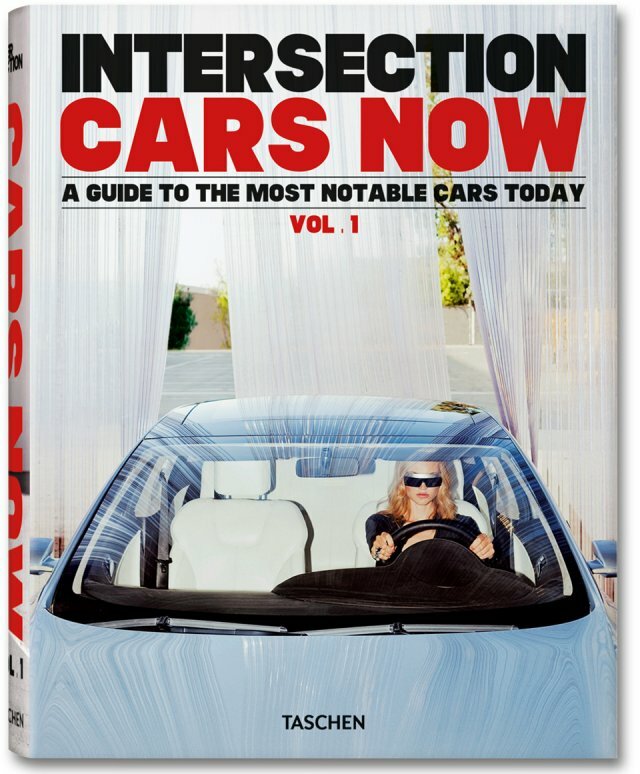 What’s fun about Intersection magazine’s (via publisher Tashen) new thick paper-back Cars Now: A Guide To The Most Notable Cars Today Vol.1 is that the infamous car mag has seen fit to include beautiful photographs and facts from car makers from all over the world. There is the Hindustan company from India producing their iconic boxy Ambassador; Holden of Australia with their ute cars (that’s short for utility vehicles) as well as sportswagons; and the mighty Cadillac. As is true of a Taschen book, Cars Now is a picture book first and foremost and the photography here of the cars makes you hunger for each one. The KTM red racing car centerfold is hot (with the requisite babe driving…yes there are plenty of girls and cars here); Peugeot’s spread sees their car suspended on cables over breathtaking snowy mountain tops and Audi’s under water shots are truly sleek and cool. From ‘A’ (Aston Martin’s 14-page sumptuous layout is one if the biggest in the book) to ‘Z’…China’s Wulang company…Cars Now has it all. There is also a comprehensive index at the end of the book, speed limit chart from around the world and infograph, revealing each car’s power, fuel efficiency, seats and body styles…and a whole lot more. Each car chapter is written in English, German and French in keeping with Taschen’s usual international approach with their titles.